Cocktail Bodega rocks the retro diner look (one notch more sophisticated) and touts a drink menu specializing in adult smoothies and juices. You can have one of their signature combinations or make your own; either way, they’ll blend or squeeze your drink to order. In New York, the weather has shown the first signs of springtime, so naturally I wanted a drink that felt like the diametric opposite of winter. 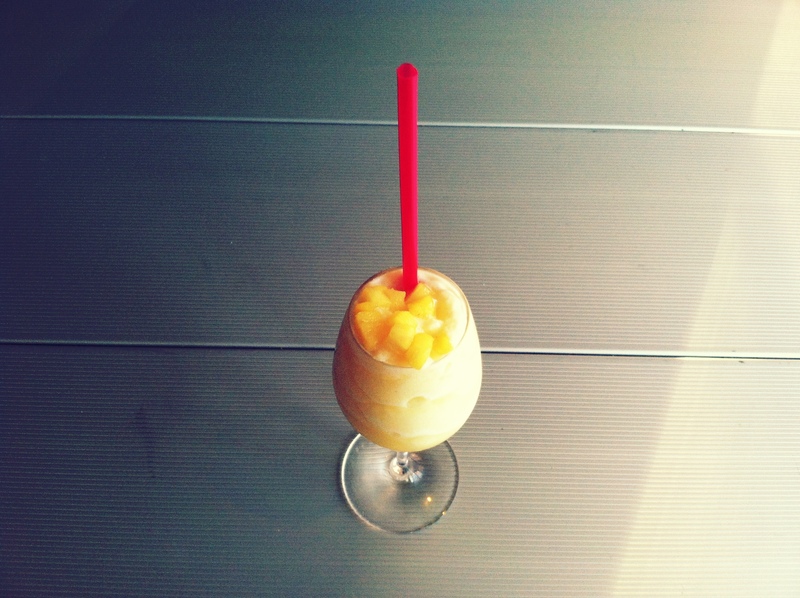 My solution: a custom smoothie with coconut and pineapple, no sugar added ($6.50 sans booze). This smoothie was pitch perfect. Tropical, creamy, barely sweet. Refreshing and invigorating, reminding me of pina coladas past. 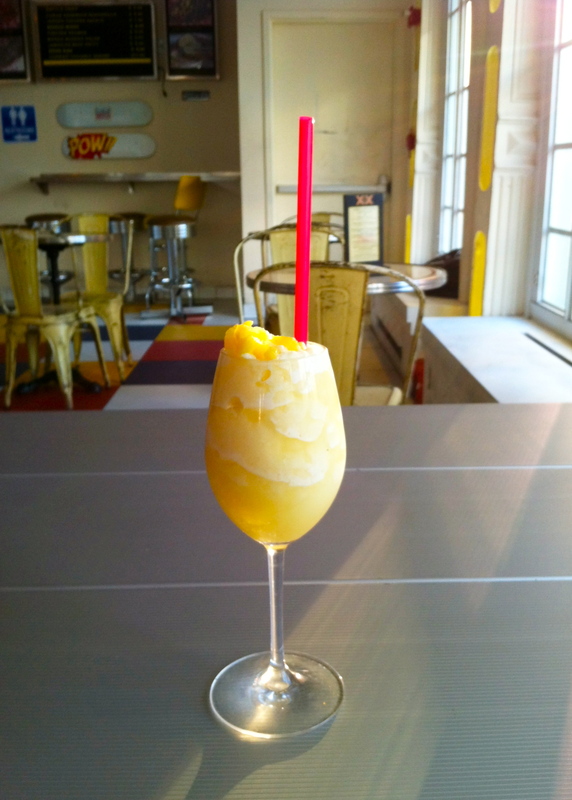 Topped with frozen pineapple chunks, served in a wine glass with a bright red straw. Some might say “tacky” or “overblown”, but those people have no sense of humor. On a sunny, barely warm day, it’s nice to divert thoughts from the leafless trees to sandy beaches and azure waters. This is the type of smoothie you’d want out there. Or when you’re on Week 2 of a diet.